sailboat. : The Blue Shirt. Alongside black dresses (mostly all I ever wear! 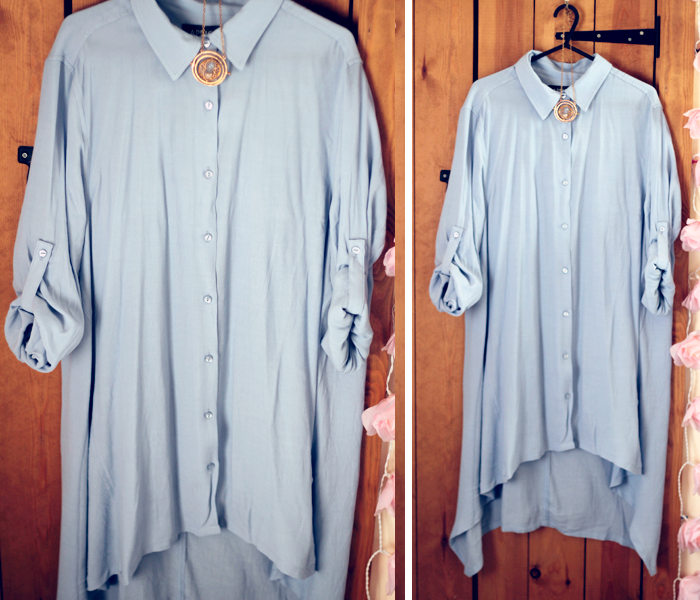 ), flowy blue shirts are a staple in my wardrobe. This one is easy to throw on with a pair of leggings and a grey cardigan. I like that it keeps its overall simplicity whilst having subtle details, like the turned up sleeves, that set it apart from a standard piece. Lovely. What is your number one wardrobe must-have? Such a lovely shirt! I think my number one piece in my wardrobe is my Topshop tunic, it's floaty, 3/4 sleeved and so comfortable! How a lovely blue shirts! Ooh that's a pretty shirt! Would definitely be easy to wear and dress up/down. This looks super comfy. I am personally such a sucker for a comfy knit. I own millions. My must-have is a plaid shirt, I carry it everywhere with me!